Discover the top ten things to do in Tanzania on your Enchanting Travels tour. 1. The Great Migration of animals in the Serengeti is one of the most moving natural spectacles on the planet. More than one million wildebeests, hundreds of thousands of zebras, and other animals travel through the endless savanna landscape. But hungry predators are waiting and waiting for prey! This is nature in all its beauty and cruelty, a touching struggle for survival. 2. The Ngorongoro Crater is pure, original Africa. Within this comparatively small area is an unrivaled diversity of species – especially Lake Magadi, which attracts many thirsty animals. We recommend you get up early, so you have the whole day seek out the Big Five. 3. The legendary Mount Kilimanjaro is the highest mountain on the continent and is therefore also called ‘The Roof of Africa’. A climb up to the top of the mountain is reserved for experienced climbers, but the lowly lush green slopes can be explored on day hikes and are suitable for beginners. 4. During your cultural tour of Tanzanian, the historic Zanzibar Island should not be missed! 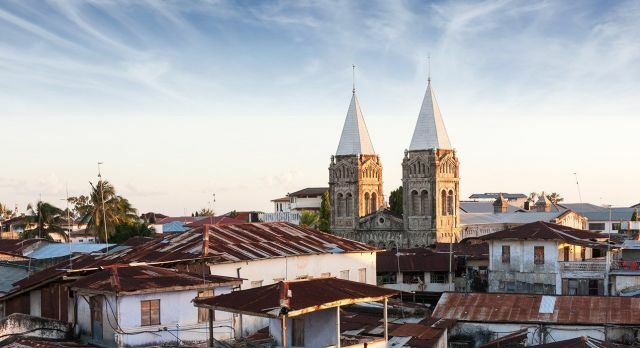 Stroll through the winding streets of Stone Town, enjoy the wonderfully fragrant markets and countless architectural jewels, and observe the sunset over the blissful and pure white sandy Zanzibar beach. 5. An unforgettable: experience! Go chimpanzee trekking in the Gombe Stream National Park. Behind the glittering Lake Taganyika rises the mighty mountain range of Gombe. Here, in the dense mountain forests you can observe chimpanzees in their natural habitat. 6. Selous Game Reserve is the largest in Africa. Its lifeline, River Rufiji is a haven for thirsty hippos, crocodiles and elephants. With a little luck, you can also admire the very rare African wild dog. 7. 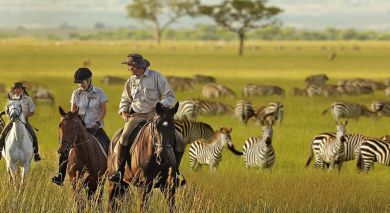 Wild, secluded and original – Ruaha National Park offers you a particularly authentic Tanzanian safari experience. In the barren, harsh landscape you will meet giant elephant herds, buffaloes and gazelles. 8. The mystically beautiful city ruins of Kilwa Kisiwani will remind you of glorious yesteryear, when the former harbor city lay along important trade routes. Today, slowly decaying palaces and mosques spread a morbid charm. 9. 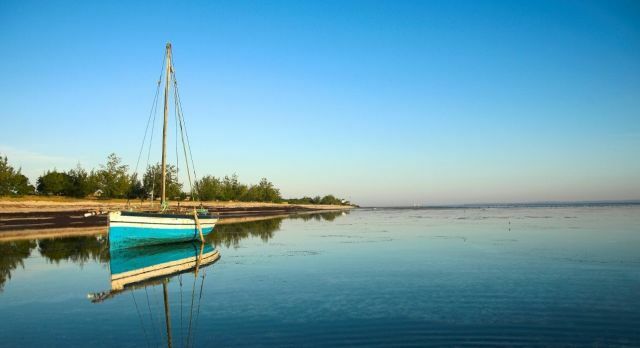 If you are looking for peace and quiet, then we have a special travel tip for you: Pemba Island is the perfect spot for your Tanzania beach vacation. Blinding white beaches, hidden coves and dense mangrove forests invite you to dream. 10. Head to Lake Eyasi for an authentic, off-the-beaten-track experience of Tanzania. This lake is not easily accessible, but attracts thousands of flamingos when the water levers are right. You can also meet the Hadzabe and Dagota ethnic peoples, who continue to leave a traditional way of life off the land. 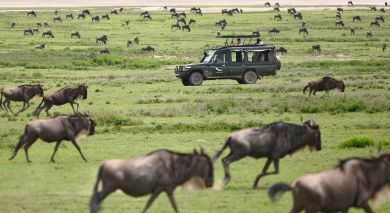 Would you like to discover the highlights of Tanzania and experience all aspects of this wonderful country? 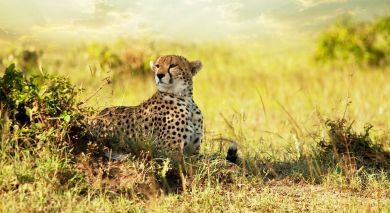 Our Africa specialists will be pleased to create an obligation-free, customized Tanzania travel itinerary for you!